Brewing is a crucial part in making high-quality beer. Most brewers tend to debate whether extract or all grain brewing is better. There is no one-size-fit-all answer for these questions. 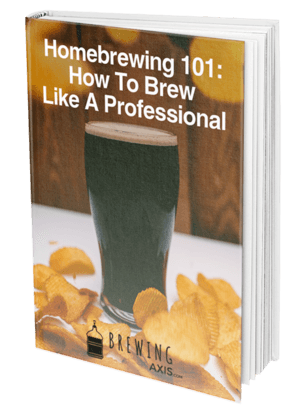 Homebrewers who want to create beer like the professionals tend to opt for the all grain brewing. 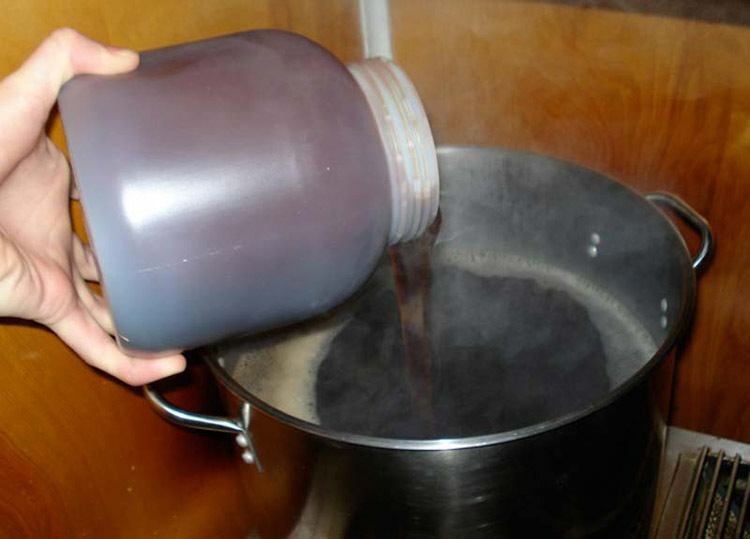 However, homebrewers with limited space, time, and equipment will find it easier to brew using malt extract. While some people will say that all grain brewing makes higher quality beer, it’s possible to make a good beer with malt extract, and bad beer with all grain brewing. Taste isn’t a major concern here. Whether you plan on using all grain or extract, it’s a decision that’s based on your needs and constraints. Here, are the main differences between extract vs all grain brewing methods. 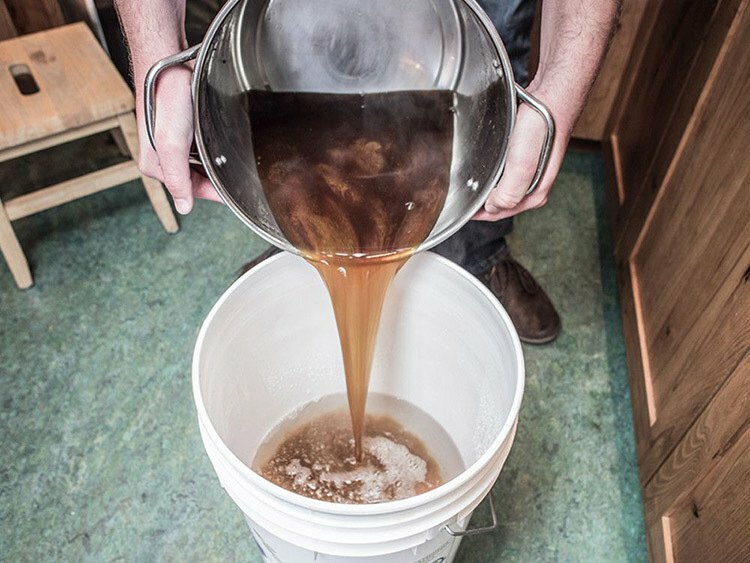 Why Is Brewing From Extract Better For Beginners? When it comes to the all grain vs extract, extract brewing is more time efficient, which reduces the brewing time by at least a day. An all grain brewing process involves soaking grains in boiled water for an hour, lautering (collecting mash liquid) and finally sparging the beer (adding more water to the grains to extract all the sugar). On average, this process might take around 6-8 hours and even longer if you’re using a fly sparge. This means that a complete all-grain brew day, from when the water is heated until the wort is processed in the fermenter, can take a third of your day to complete. Add in the time it takes to clean up, and you’re looking at a complete day’s work. An extract brew can take up to 2-3 hours, making it a great solution for beginner brewer who wants to make a quick brew after work. You can create a quick batch before a weekend party via extract brewing. All-grain brewing needs an additional brewing kettle to heat up sparge water and a mash tun. However, extract brewing allows you to skip the all mashing brew process, which reduces the amount of equipment needed to make some high-quality beer. Extract brewing doesn't require as much equipment as all-grain brewing, meaning that it's a smaller investment for first-time brewers. A 12-gallon cooler and a 10-gallon pot takes a lot of space in your kitchen. The extract brewing process can be completed with one pot. And you're more likely to get away with the standard two to five-gallon pot that you currently have in your kitchen. 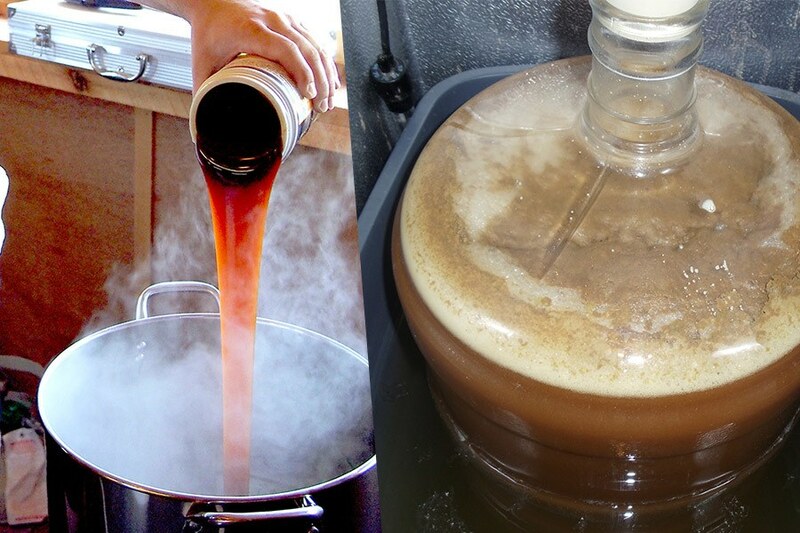 On average, an extract beer recipe takes up to 5 gallons of beer and takes only 2-3 gallons of liquids. The remaining volume that’s made up of water is placed in the fermenter. Besides the fermenter, you don’t need any extra brew day gear once you’re extract brewing. When creating craft beer, consistency is the key. By being able to recreate recipes, you’ll increase the taste quality and your final results. And if it’s your first time brewing, extract brewing can lead to more consistent results than all-grain brewing. Achieving a target gravity is the most difficult aspects overusing a beer recipe with a homebrewing system. Since extract brewing skips the mashing process, this variable becomes less of a problem. All grain brewers save time and money by optimizing its mash efficiency variable. For beginners, it can be difficult to recreate a homebrew recipe unless they can control their mash variables. Malt extracting removes the mash efficiency variable and makes it easier to reach the target gravity. To recreate a recipe you previously made, you only have to worry about boiling, conditioning, and fermentation. While this can be a tricky process to control, taking out one of the variables helps you make good brews consistently. 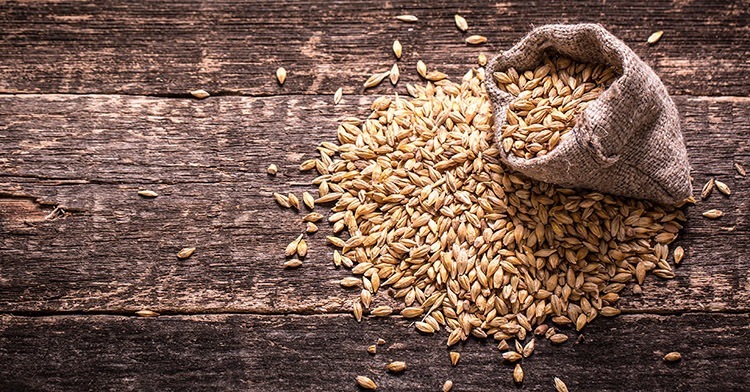 Malt extract beer is made from grains, just like all grain beer. However, the water has been removed for easier storage and shipping. You can add additional flavors such as chocolate, coffee, or honey, adjust its color, increase or decrease its bitterness, and adjust the acidity of your final beer. 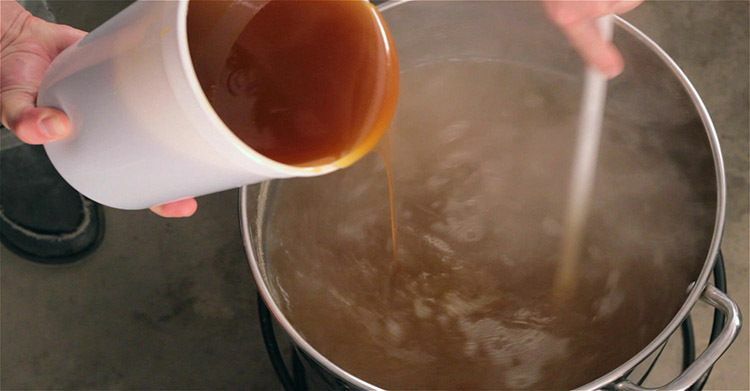 During the malt extract brewing process, you steep the grains in hot water to make "grain tea." But you have to remove the grains before adding the malt extract into the wort. Using specialty grains allows you to experiment with new malts and add unique flavors to enhance the taste quality of your beer. Another main difference between extract and all-grain brewing processes is that the all wort grains can be fermentable faster than all-wort created from extract. Beer kits solved this issue by combining sugar with malt extract to create reasonably dry beers. For beginners, you should start with extract brewing. You'll find it easier to control the process, and it will prepare you for all grain brewing. We suggest that you practice making extract recipes and logging in your results so you can gain experience. As we stated earlier, you skip the mashing process with extract brewing. This means that you don’t have to measure the temperature and the pH. Extract brewing doesn’t require a 60 minutes to mash the ingredients. Just mix your extract with water and start the boil. If possible, you can do this within 2 hours with minimal cleanup. You can use a smaller kettle to start extract brewing. This is a more economical choice for the first time brewer on a budget. You’ll have to pay more for hops and malt when brewing extract beer. Usually, malt extract costs more than the grain needed to obtain the same gravity. And, extract brewers tend to use a higher extract boil. Because of the higher boil gravity, it will take more hops to reach the same amount of bitterness. The main difference between extract vs all grain brewing is in complexity. 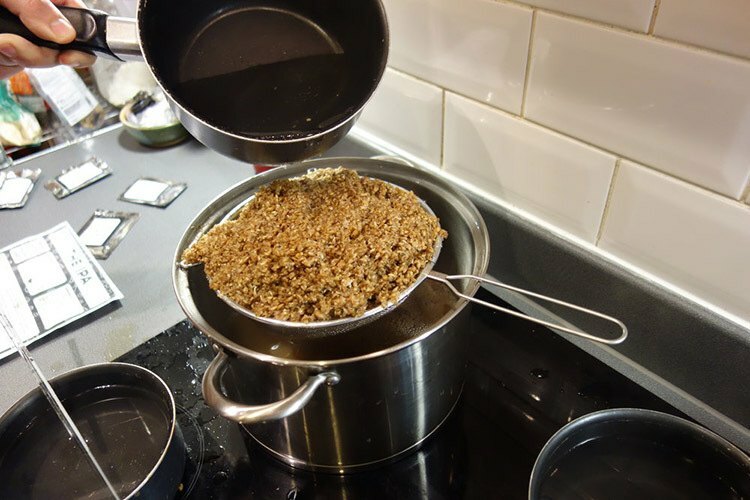 For example, when brewing extract, can easily remove the grain bag from its pot, allowing it to drain. Then, you have to add hot water to the over the grain bag to obtain additional flavors and residual sugars that might be found within the grain. This procedure is called lautering, where it's not important that you receive every last bit of grain from the malt extract. However, all grain brewing is different because you have to be efficient at collecting the sugars from the grain because there’s no extract to rely on. It shares the same concept of pouring hot water on the grain but for a longer period of time. This is because there is a larger amount of grain and you have to be more effective during your process. 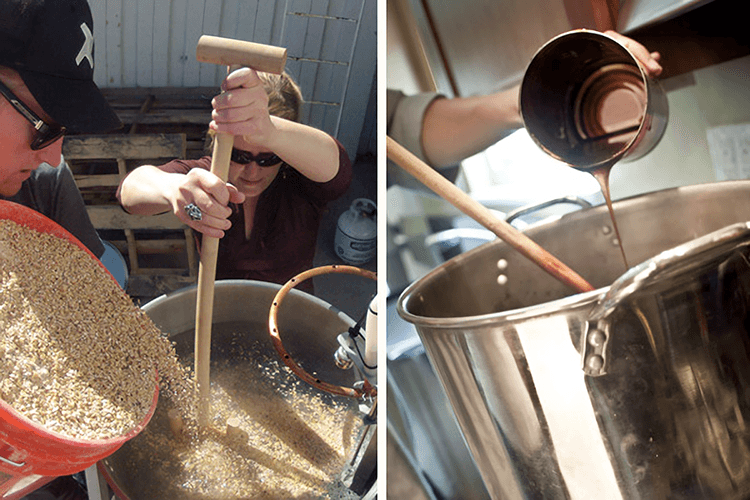 Grain Brewing is similar to extract brewing, but the way you produce the wort is a different method. For example, extract brewing you heat water and pour the concentrated malt without allowing it to burn. If you are creating a partial mash brew, you’re able to mash a small amount of grain to increase the complexity, but the sugar you obtain from the grain will have a higher quality than the extract brewing process. When you’re all grain brewing, you’re creating the wort mainly from grain. This takes longer due to mashing, or when the water and heat combine to make enzymes in the grain to convert the starches into sugar. In all-grain brewing, it requires a higher amount of grain, and even more space to store the grain. The mashing process will take longer, and the temperature must be consistent for this period of time, anywhere from around 60 to 90 minutes. This is where a new piece of equipment comes in, called the mash tun. The cooler-style mash tun is a popular choice. It’s basically a water cooler with a few extra compartments. While you might have to pay extra for additional equipment, all-grain brewing is the way to go if you want to create a unique tasting beer. If you’re trying to become a professional brewer, you have to learn how to brew the all-grain. 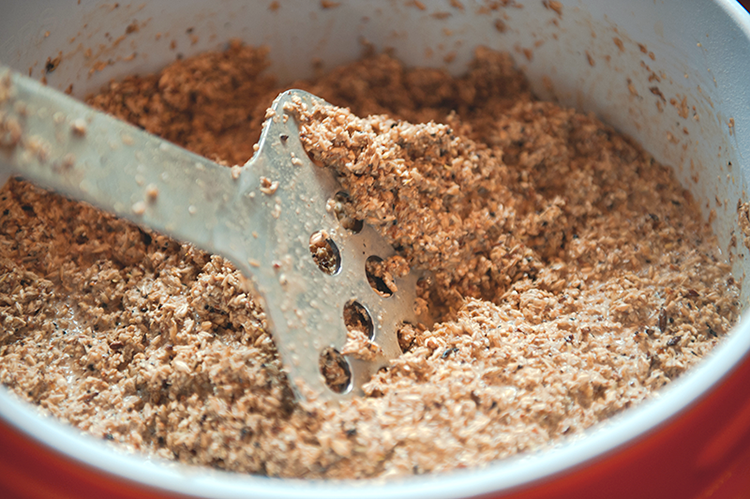 The mechanics of mashing ingredients is very important if you want to make good craft beer. You'll spend less money on ingredients vs using malt extract. Thus, making it easy to grab a few fruits at the supermarket and start brewing immediately. As mentioned earlier, you’ll need more equipment. If you’re going for an economical option, you need the Brew in the Bag to help with all grain brewing. All grain mash leaves a lot of wet grain. You have to account for the additional time needed to dispose of grains and clean out the mash tun. To conclude, you should decide what type of brewing process you prefer. If you want to brew some quick beers, then go for extract brewing. For those that are serious and want to make professional quality beer, then all-grain brewing is a great option. No matter which one you choose, you’ll have some tasty beer as a reward.